When Christian Banas learned he had been accepted into Cal State Fullerton’s music program four years ago, he was taken aback. After all, he hadn’t applied for entrance into the program – or had he? Upon review of his application, Banas discovered that instead of checking the “kinesiology” option on his application as he had intended, he had mistakenly marked “music” as his choice of major. Although Banas, who grew up in Rowland Heights, had been involved in school bands since fifth grade, he had no intention of pursuing music in college. Never one to bow down from a challenge, he decided to stick with it for “one or two semesters,” Banas said. “I was just happy I was going to college,” he said. The 21-year-old is graduating Saturday from the university’s School of Music. On the first day of classes his freshman year, Banas realized he couldn’t read any of the music in the book in front of him. His first semester, a professor recommended Banas look into pursuing a different major because he didn’t seem to be doing all that well in the program. Banas decided he needed to prove to himself that he could succeed in the music program. He would practice singing exercises in his car because he was too embarrassed to do it anywhere else. Until he reached his third year at CSUF, Banas struggled immensely. Everything that other students already knew, he had to first learn and then excel in – quickly, he said. Banas is a teacher’s assistant for music classes at Alvarado Intermediate School and John A. Rowland High School, both in Rowland Heights. “It’s one of the best experiences I’ve had, just teaching them how to play,” Banas said. Next for Banas is the Single Subject Credential Program at CSUF in the fall. Completing the program will allow him to teach kindergarten through 12th grade. He hopes to teach music at the middle school level. Although his original plans included obtaining a degree in kinesiology and pursuing a career as a sports therapist, Banas is glad he botched his application more than four years ago. Although he felt like he wasn’t improving at the time, Banas said he often looks back and can’t believe what he managed to overcome. “I learned how to fail a lot those first years, which is not something a lot of people in the music department can say,” Banas said. “The struggle, that is what makes success,” he said. Angelica Ruiz is graduating with a double major in health science and women and gender studies. The 23-year-old from Anaheim is finishing up a study on food access and food disparities in low-income communities. Ruiz decided to focus her research on the city of Santa Ana because of its high prevalence of Latinos and obesity, she said. In 2013, Ruiz was named a CSUF McNair Scholar, which allowed her to conduct the study alongside a CSUF mentor of her choosing. Ruiz chose Erualdo Gonzalez, associate professor of Chicana and Chicano studies. The McNair Scholars Program encourages low-income, first-generation college and underrepresented students to pursue graduate programs. By conducting interviews with Santa Ana residents, Ruiz researched the affordability, access and quality of fruits and vegetables in the community. “There is this gap between low-income access to healthy food and high-income access to healthy food,” Ruiz said. In the future, Ruiz plans to move to Sacramento and pursue a career in health policy. “I want to focus on health policy and changing policy at a higher macro level,” she said. When she was a young girl growing up in Pomona, Karla Arriaga-Lopez used to visit free community health clinics with her family. She, along with her parents, grew up undocumented. Arriaga-Lopez, now 26, recalled looking up to the physician assistants who treated her and hoping that one day, she too would be able to help those in need. “Growing up not only as an undocumented person, but in a low-income family, we never had the privilege of having health insurance,” said Arriaga-Lopez, who is the first in her family to graduate. After graduating from high school, Arriaga-Lopez attended Citrus College with the intention of specializing in nursing. Without a Social Security number, her aspirations of becoming a physician’s assistant came to a halt. Discouraged, Arriaga-Lopez stopped going to school for nearly two years. In 2012, she began a research program – STEM² Summer Research Experience – at CSUF. The program encourages community college students in science, technology, engineering and mathematics to transfer to four-year institutions and, as a result, increase the number of Hispanic or Latino low-income students in STEM fields. 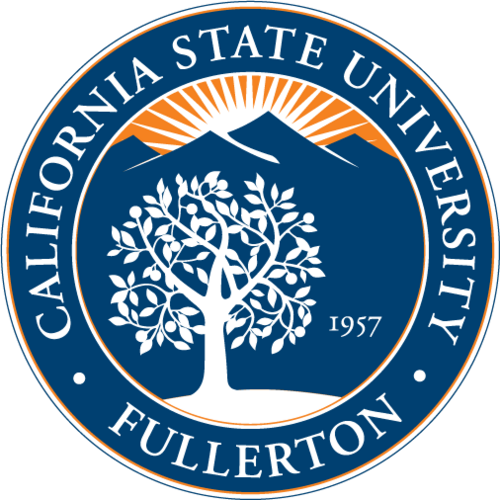 Soon after, Arriaga-Lopez transferred to CSUF as a biology major. Throughout her time at CSUF, Arriaga-Lopez participated in internships at local hospitals, hoping to gain experience in the health profession. Last year, she obtained her U.S. residency. Next up for Arriaga-Lopez is more internship work for the remainder of the year. Next year she plans to enroll in a physician’s assistant program. Jonathan Garcia, labeled as a nontraditional student because of his age, believes his life story has helped reach the place he is at today. Garcia was 29 when he decided to go back to school after taking a break from college years earlier due to personal issues. Now married and father to a 20-month-old son and with another baby on the way, the 32-year-old is a group counselor and recreation director at the Orangewood Children’s Foundation, an Orange County organization that aids children who are victims of abuse, neglect and abandonment. This weekend, Garcia, who lives in Yorba Linda, is graduating with bachelor’s degrees in sociology and Chicana and Chicano studies. One of Garcia’s main goals at Orangewood is to help the children he works with overcome their backgrounds, he said. “I want to give them that exposure and help them see that there is a big world out there,” he said. Garcia has been working full time since he was 18. He and his wife keep alternative schedules in order to care for their son. “I am completely in love with education like I never have been,” said Garcia, who hopes to one day teach at the collegiate level. He credits CSUF with allowing him to learn about his Chicano roots and culture, something he says motivated him to stick with school and earn his degree. His goals while at CSUF were “to just grow as a man, as a father and as a student,” he said. He believes he has accomplished all three. When he was a student in CSUF’s Single Subject Credential Program 10 years ago, David Rhodes began an internship at Lathrop Intermediate School in Santa Ana. Ten years later as a student in CSUF’s Master of Science in Education program, Rhodes is a seventh grade mathematics teacher at the school. Rhodes, who was raised as part of a military family, was named the education graduate program’s Carr Fellow, an award that recognizes a graduating master’s degree student’s achievement and promise for making significant contributions in education. Rhodes’ favorite part of the job is when he sees his students “start believing in themselves as students and people,” he said. Recently, Rhodes, 45, presented his end-of-the-program research project to fellow classmates and professors. The project focused on using screencasting as a group-learning activity to create learning opportunities for students that would positively affect their mathematical self-efficacy. “If students like to go to math class, it no longer becomes this hated math class,” he said. “They start enjoying it and once they start enjoying it, they feel better about it. “I really enjoy working with kids and will hopefully be doing this for a while,” Rhodes said. This article was originally posted by the Orange County Register on May 11th, 2015 and can be viewed at http://www.ocregister.com/articles/banas-661407-program-csuf.html.